Alicia Barber, Ph.D., is an award-winning writer, historian, and founder of the historical consulting firm Stories in Place. Specializing in the U.S. West, American Cities, and Public History, she collaborates frequently with government agencies, museums, artists, architects, and community groups to create dynamic public history projects about Nevada and its people. For a decade, she taught at the University of Nevada, Reno, where she directed the University of Nevada Oral History Program (UNOHP) from 2009-2013 and steered the creation of the UNOHP’s online database, which launched in May 2013. Editor and co-founder of Reno Historical, a smart phone app and website dedicated to Reno’s history, Barber is the host of the regular feature Time & Place with Alicia Barber on Reno Public Radio (KUNR-88.7FM). She is the author of Reno’s Big Gamble: Image and Reputation in the Biggest Little City as well as numerous chapters and articles for scholarly and popular publications, and in 2014 she was the recipient of the Silver Pen Award from the Nevada Writers Hall of Fame. 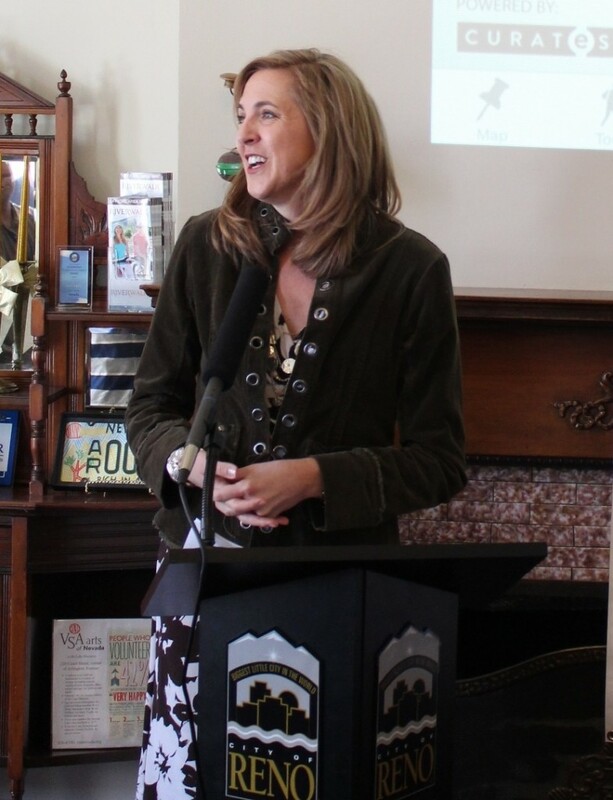 Dr. Barber serves on the Nevada State Board of Museums and History and the Board of Directors of Preserve Nevada. She holds a BA in English from Stanford University, an MA in American Studies from the University of Utah, and a PhD in American Studies from the University of Texas at Austin. A current CV may be viewed here. A common thread running through all her work–from books, public talks, and museum exhibits to digital and oral history projects–is the belief that places become more meaningful when we learn and engage with the stories of those around us, both past and present. In the process, we enrich and strengthen our communities by finding connections in the spaces and experiences we share. Reno News & Review 7/10/14, Mapped Out. Reno Public Radio 5/9/14, Audio of interview about the launch of Reno Historical. Nevada Today 5/1/13, University Professor Recognized as 2013 W. Clark Santini Cup Recipient. Reno News and Review 3/14/13, 15 Minutes: Urban Historian. Reno News and Review 8/9/12, Editor’s Choice, Best Way Not to Repeat the Mistakes of the Past, Best of Northern Nevada. New York Times 7/14/12, With Gambling in Decline, a Faded Reno Tries to Reinvent Itself. USA Today 2/23/12, Nevada Officials to Rewrite Insensitive Historical Markers.